The incident in which Malaysia PKR Batu Member of Parliament Tian Chua bit a police was truly amazing. The people of Malaysia praised him for his courage against the police who had arrested him unreasonably. Tian Chua wished to enter the parliament building to submit a memorandum of protesting a constitutional amendment. He was intercepted by a plainclothes police Rosyaidi Anuar who didn't identify himself. 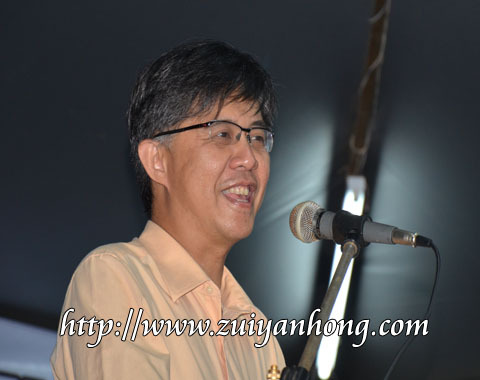 As a result, a scuffle had occurred between Tian Chua and the police. In the desperate situation, Tian Chua bit the police who apprehended him illegally. Actually police should serve as protector of the people. They are responsible for ensuring harmony and peace of community. Many Malaysian dislike police because there are too many negative messages about them. That's why Malaysian fully support Tian Chua.